Learn to lightmap with Gile[s]! In this tutorial, I will teach you how to use Gile[s], a free lightmapping program. 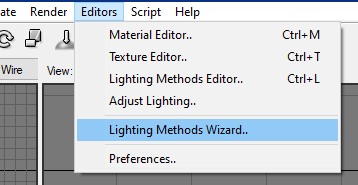 This program bakes shadows and lights into your stages through textures. After you have downloaded Gile[s], open the .exe file. WARNING: LIGHTMAPPING WILL REMOVE SMOOTHING FROM YOUR MODEL! To open your stage, you will need to open the b3d file. Then, find your stage b3d file. A menu will appear, with lighting settings. To get the best results, set the size to 1024x1024. Setting the size of the lightmap to 2048x2048 may cause many performance issues. 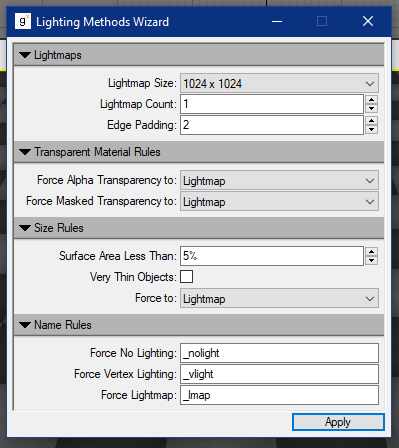 Set lightmap count to 1, and edge padding to 2. After you have set all of the settings, click Apply. It's time to place down some lights. Over on the side, there are a bunch of lights you can create. Omni lights are preferred. Once you place the light down on your stage, the stage might seem pretty dark. Time to fix that! 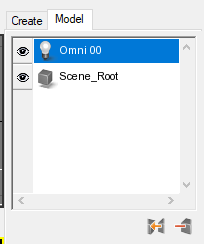 Next to the Create tab is the Model tab, click on that. You should see something like this, click on your light. The light properties will appear below. Here, you can edit the position of your light, how far your light travels, or even the color. If the light is going act like the sun and casts one light on the entire stage, don't forget to check Infinite. Position the light the way you want it, and don't forget to move it directly above your stage if you want it to shine down on everything. You can place more lights if you need them, but make sure they don't interfere with the main light. Now it's time to render it. First, go to Render Settings. 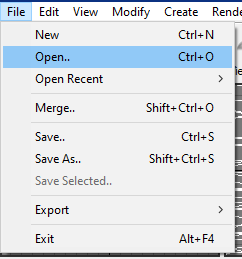 A render settings window will appear. Under Basic Render Settings, set the GI Renderer to Ambient Occlusion. 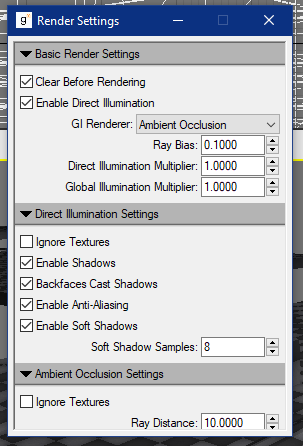 Under Direct Illumination Settings, check everything except Ignore Textures. 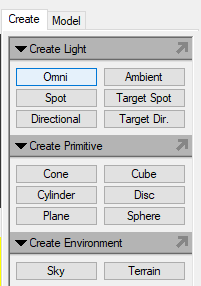 Once you're done editing the settings, click the Render button. It may take a while to render if your stage has many vertices. And you're done! 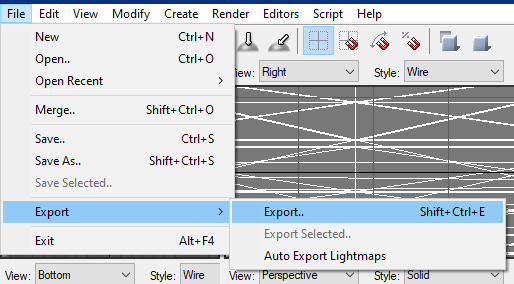 There's only one thing left to do now, export it! Now, save your model and your lightmap. Make sure they're both in your Stage folder. That's it! You've successfully lightmapped your stage!